Are you looking for a special gift with a difference? 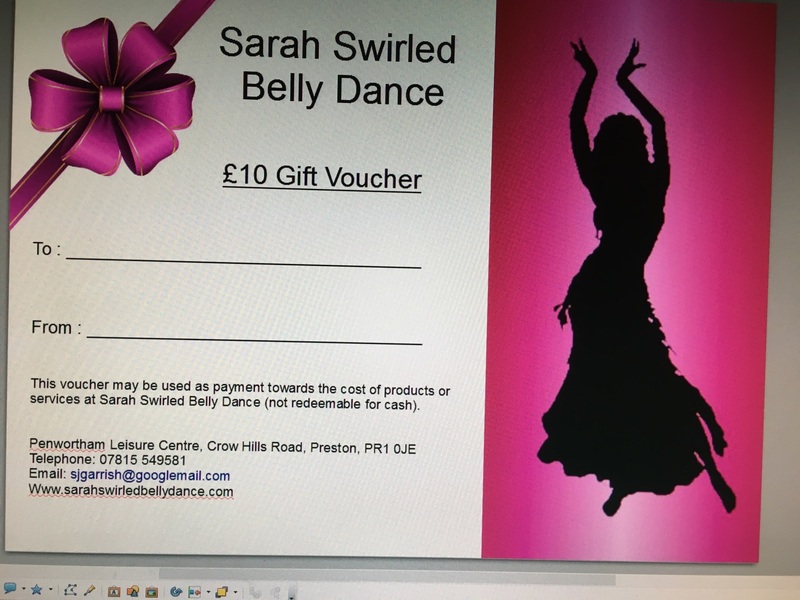 If you are and you know somebody who has always wanted to give belly dance a go, then this could be the perfect gift. Gift Vouchers are available in several denominations and may be used against the cost of any goods or services provided by Sarah Swirled. If you do not see the amount here you'd like please ﻿c﻿ontact me﻿﻿ to discuss. Postage and packing costs £3.50 per voucher, which will come in a special envelope and tied with a ribbon. Click ﻿here﻿ for full terms and conditions. Please provide full details of the recipient and the giver when placing your order. Use the links below to buy yours now. Gives the recipient £5 to use against any product or service provided by Sarah Swirled. Gives the recipient £10 to use against any product or service provided by Sarah Swirled. 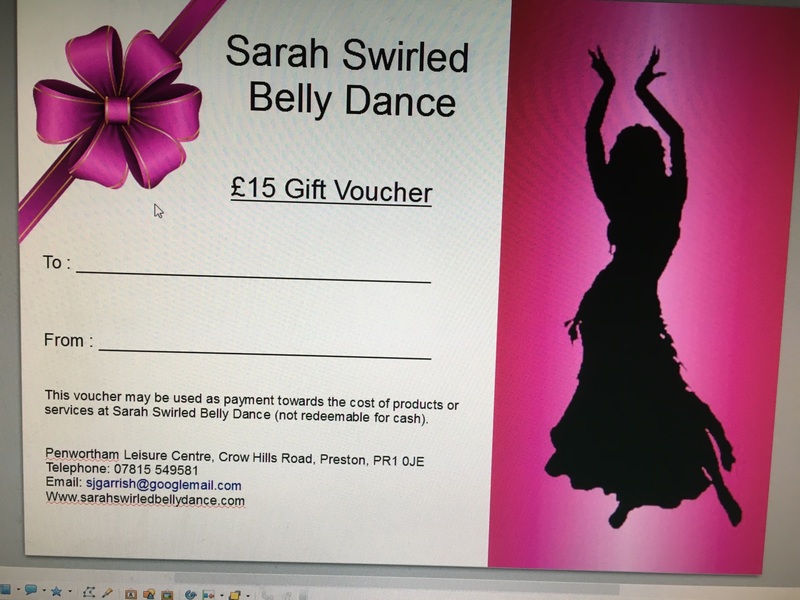 Gives the recipient £15 to use against any product or service provided by Sarah Swirled.